The main difficulty everyone who is going to create your website is selecting domain name. The design of the site, the location of the blocks on it, the writing, the number of pages can be changed unlimited number of times. But the name of the site to change will not work - will have to register a new domain, and with it make the website as positions in the search engines, TIC, PR and tried and tested link building will remain with the old name. In order to avoid such problems, it is necessary to take seriously the choice of the name of the website. 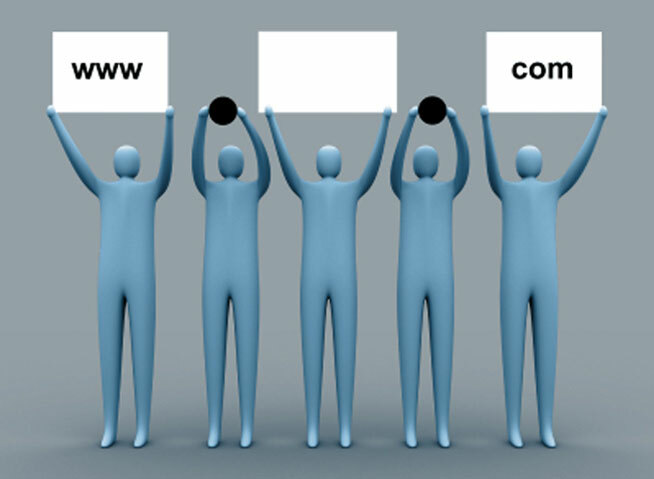 To select a domain name first choose a website domain name Registrar with acceptable prices. On such sitex must be a check service employment domain names - it will help you to determine the desired name is busy or free. The name of the site must be at least 2 and no more than 64 characters. The beginning and the end of the name must not contain a hyphen. In the name of the site do not use two hyphens in a row. The name of the site should be rather short and so it was easy to say to another person, for example, by telephone. If you decide to write the name for the sitethat contains the Russian words in Latin, then avoid in the name of the letter "sh", "Zh", "CH". The use of these letters in the title of the site can have their ambiguous Latin spelling. The name of the website must match the company name or the theme of the website. This is necessary in order to visitors upon request could easily get into your website. Choose the domain zone for the site given its region. For sites focused on Russia, a zone RU. If your website is intended not only for Russian but also for foreign audiences, choose zone COM. You can also pick up the domain space based on the theme of your site. This is good if the project is not just for a certain area or you want people to immediately understand what the website, in his name. For a commercial organization will suit BIZ. The organizations that provide network services, can register a domain zone NET. Area good MOBI for sites designed for mobile devices. The sites of various museums, you can register in the area of the MUSEUM. Area INFO ideal for informational sites. For non-commercial organizations are provided for area ORG. If the website is dedicated to a particular person, choose a zone NAME; if this is the site professional (e.g., physician), the resource will suit PRO. After selecting a name you must check it in the service of verification of employment name, as you may find that someone has registered it before you. Make sure that you invented the name wasn't busy and immediately proceed to its registration, since it is possible that tomorrow is the name of the website is already taken. How to choose a website name. Naming domains. So, you decided to create your Internet site. With something you have already decided something to learn. When choosing the name of the site in the first place have to decide on the definition of its subject and purpose. Natural to assume that the website to sell vehicles in your name will have the phrase associated with the machines or any particular brand.